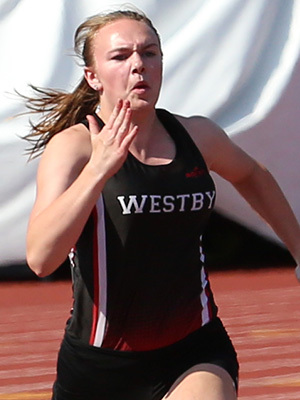 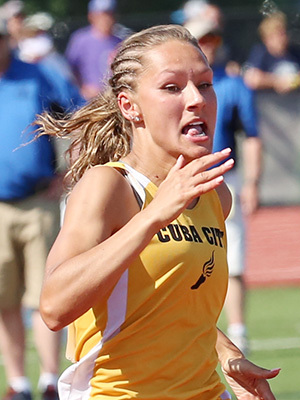 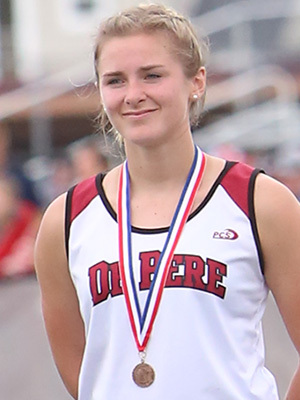 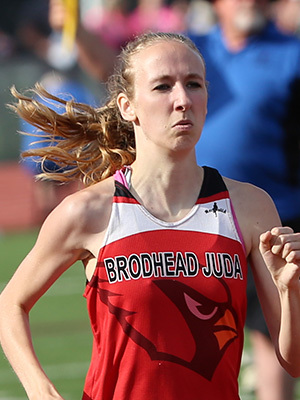 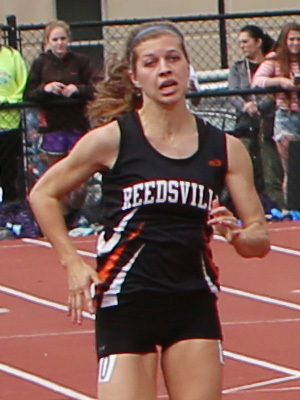 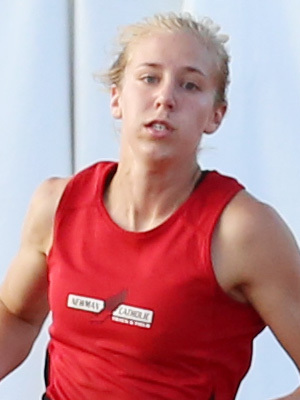 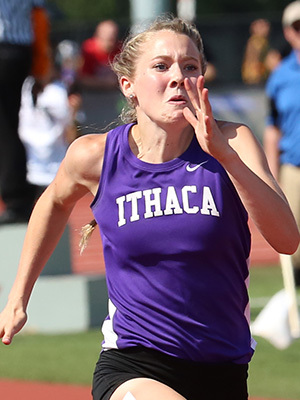 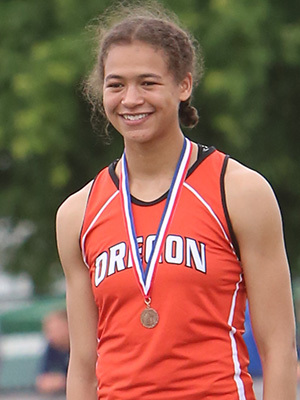 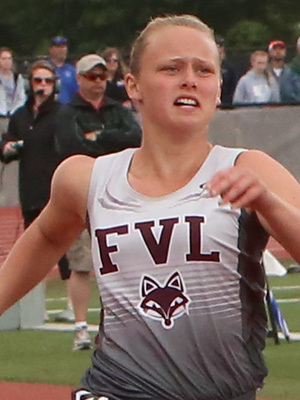 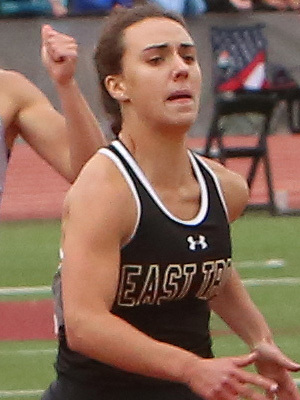 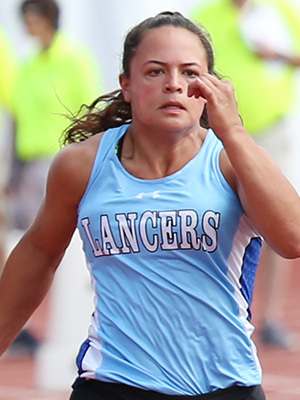 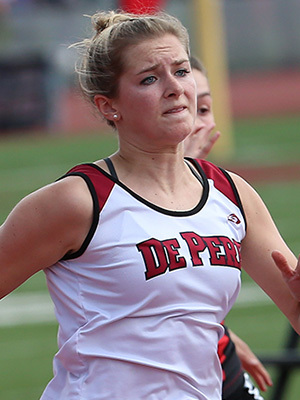 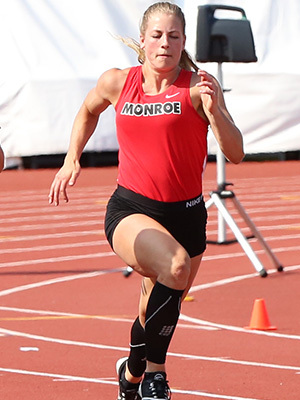 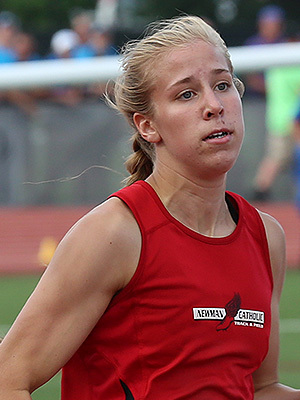 Junior Haley Durst [#5, Ithaca/Weston] posted a 12.44 to win the 100m D3 Gold Medal. 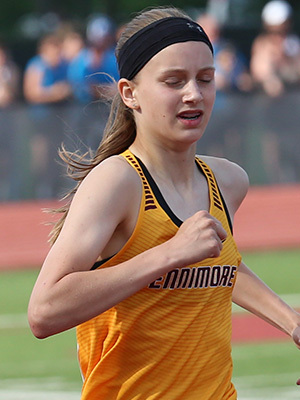 Other runners in the final above L-R: Molly Milleren [Thorp, 4th], Mykenzie Vaassen [Cuba City, 3rd], Emily Fink [Three Lakes/Phelps, 5th], Brinley Wood [Cuba City, 7th], and Manawa's Aspen Linjer [6th]. 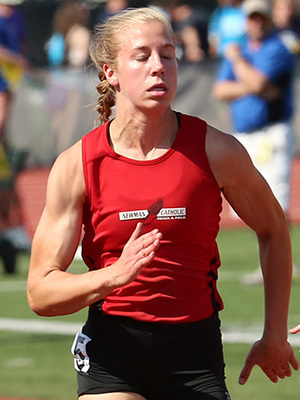 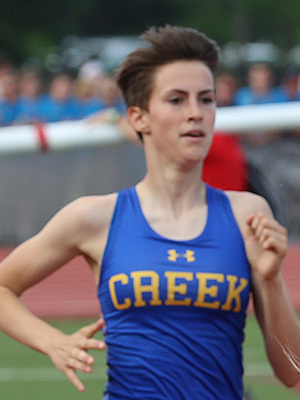 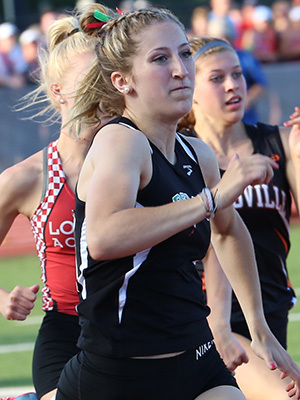 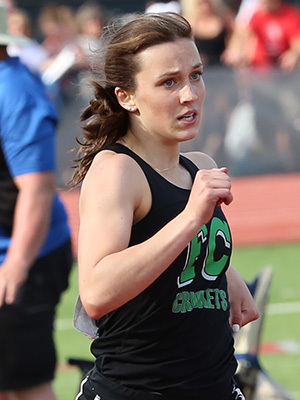 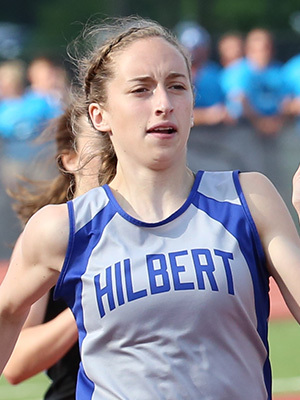 2017 D2 400m Champion Maddy Pietz from Wittenberg-Birnamwood left no doubt that she would repeat as she had a lead coming out of the final turn. 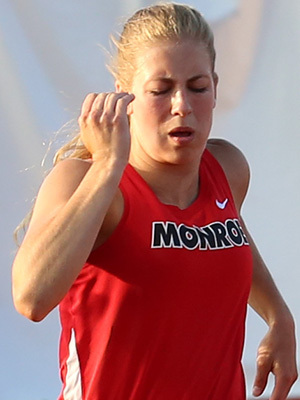 Pietz posted a 56.91 to win the Gold Medal. 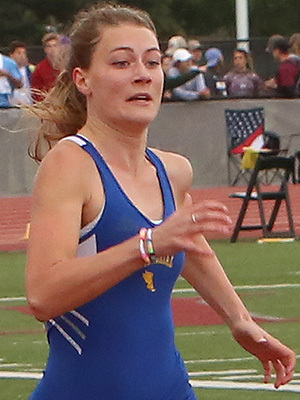 Finals of the D1 100m Dash. 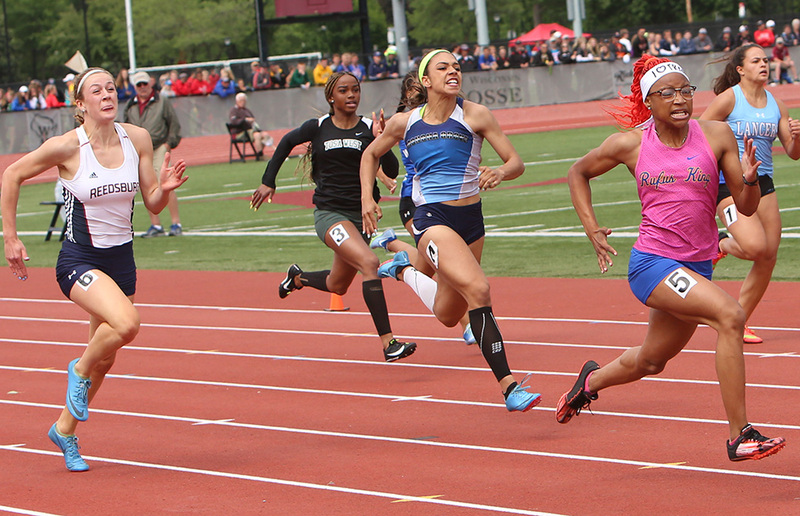 Winner Ali Dorn from Monona Grove [3rd from left] has some ground to make up with 70 meters left. 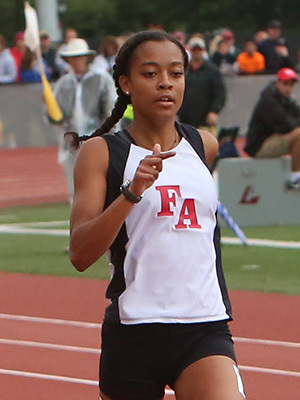 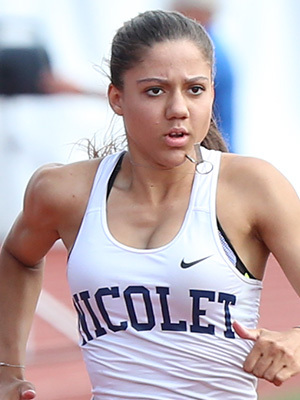 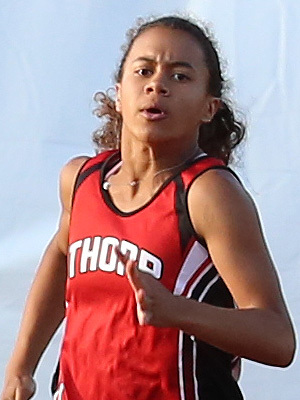 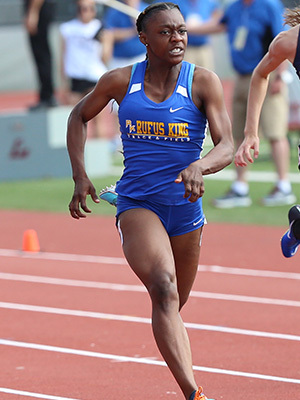 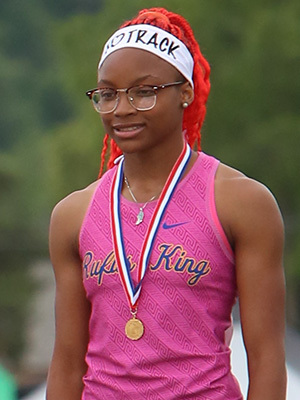 After DQ'ing in the prelims of the 100m top ranked D1 100m sprinter Milwaukee Rufus King sophomore Amari Brown left no doubt about what she would accomplish. 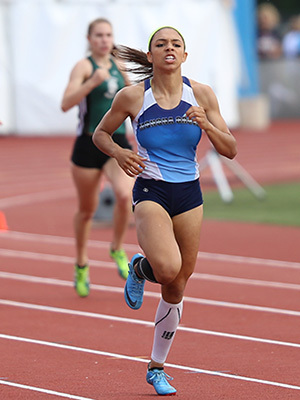 After blazing to a supersonic 23.76 in the 200m prelims she finished ahead of a talented field in the 200m finals to win the Gold Medal in the 200 [24.65]. 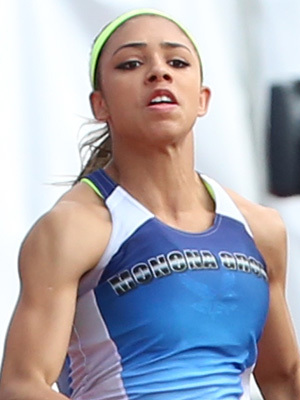 Above L-R: Brooklyn Schvinck [Reedsburg, 3rd], Ja'Cey Simmons [Tosa West, 5th], Ali Dorn [Monona Grove, 2nd], Brown, and Lexi Romero [Brookfield Central, 8th]. 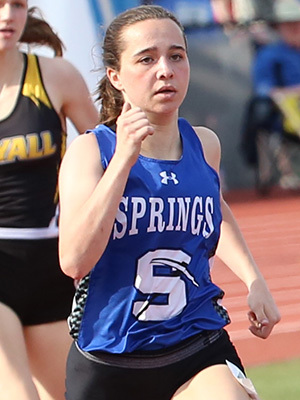 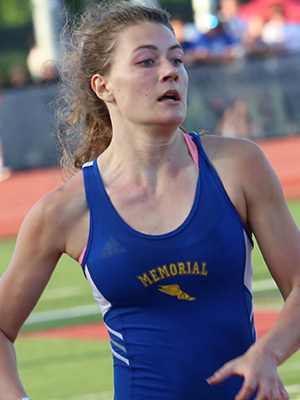 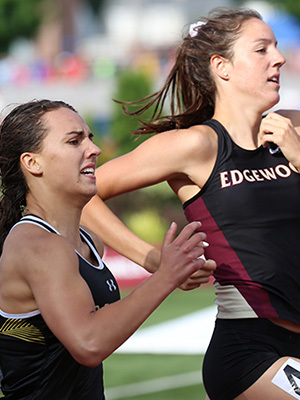 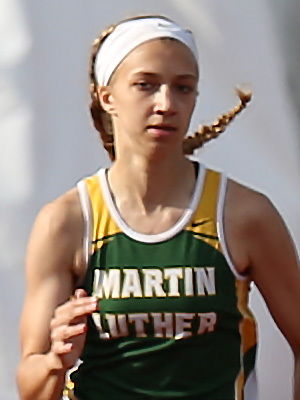 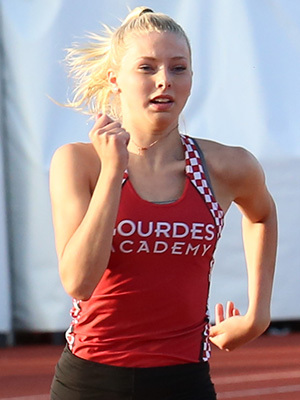 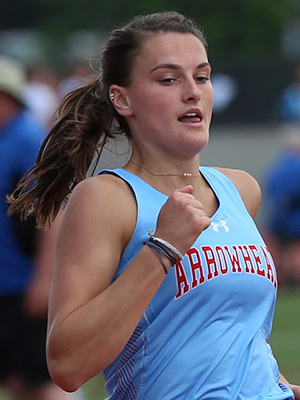 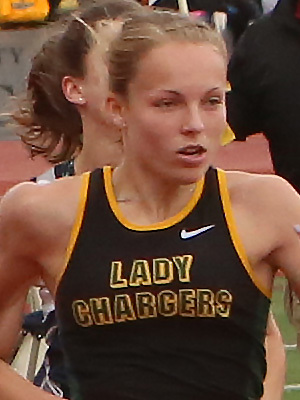 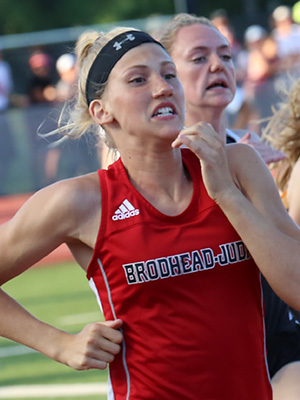 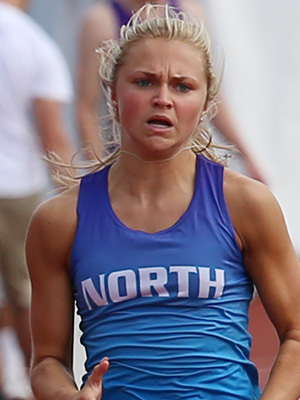 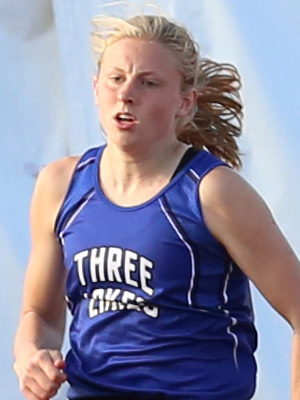 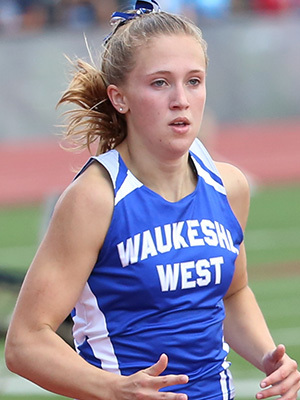 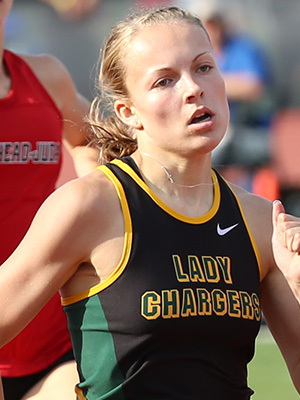 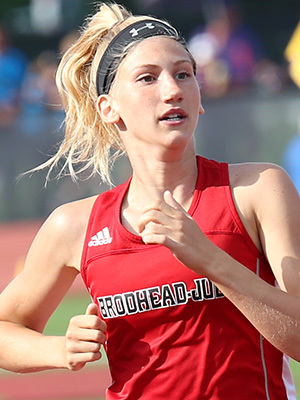 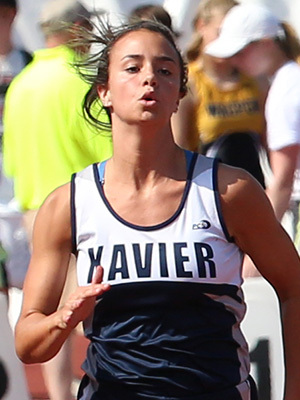 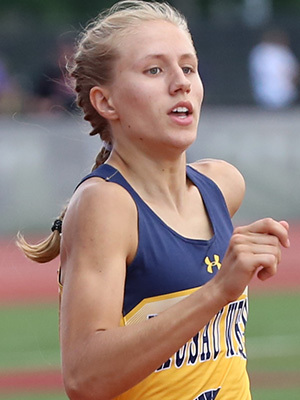 Third Year In A Row: 400m Dash D1 Champion Brooke Jaworski [53.75] From Wausau West. 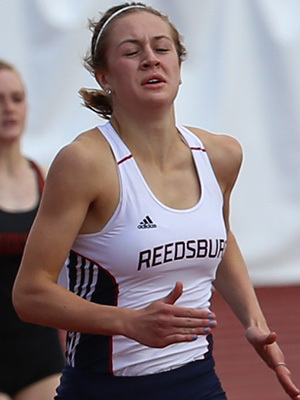 Ali Dorn [Monona Grove, 2nd in 54.78], and Reedsburg's Brooklyn Schyvinck [3rd in 55.45].